In web service, we can host the service only in IIS, but WCF provides the user to host the service in any application (e.g. console application, Windows form etc.). Very interestingly developer is responsible for providing and managing the life cycle of the host process. Service can also be in-pro i.e. client and service in the same process. Now let's us create the WCF service which is hosted in Console application. We will also look in to creating proxy using 'ClientBase' abstract class. Note: Host process must be running before the client calls the service, which typically means you have to prelaunch it. Step 1: First let's start create the Service contract and it implementation. Create a console application and name it as MyCalculatorService. This is simple service which return addition of two numbers. Step 2: Add the System.ServiceModel reference to the project. Step 3: Create an ISimpleCalculator interface, Add ServiceContract and OperationContract attribute to the class and function as shown below. You will know more information about these contracts in later session. These contracts will expose method to outside world for using this service. 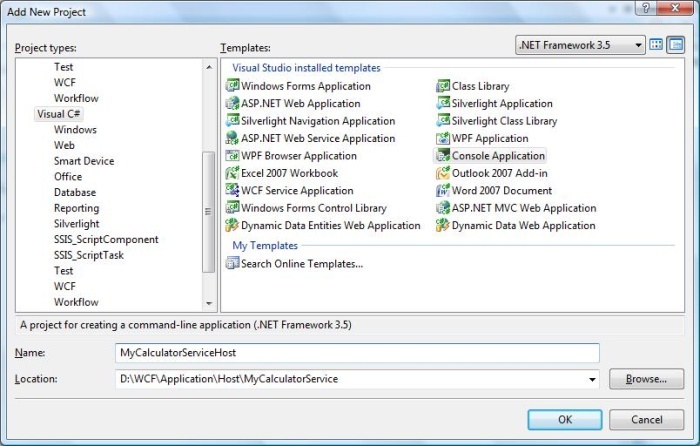 Step 4: MyCalculatorService is the implementation class for IMyCalculatorService interface as shown below. Step 6: ServiceHost is the core class use to host the WCF service. It will accept implemented contract class and base address as contractor parameter. You can register multiple base addresses separated by commas, but address should not use same transport schema. 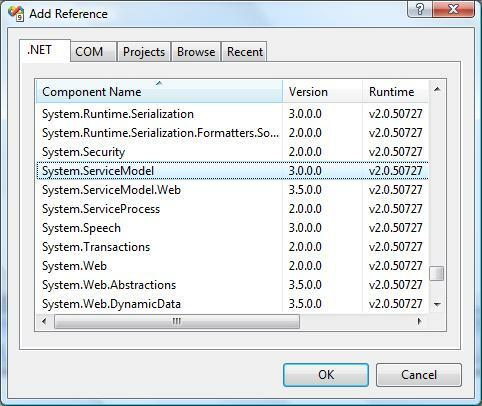 Multiple end points can be added to the Service using AddServiceEndpoint() method. Host.Open() will run the service, so that it can be used by any client. Step 7: Below code show the implementation of the host process. Using SvcUtil.exe, we can create the proxy class and configuration file with end points. Adding Service reference to the client application. Of these three methods, Implementing ClientBase<T> is the best practice. If you are using rest two method, we need to create proxy class every time when we make changes in Service implementation. But this is not the case for ClientBase<T>. It will create the proxy only at runtime and so it will take care of everything. Step 9: In the client side, we can create the instance for the proxy class and call the method as shown below. Add proxy assembly as reference to the project. 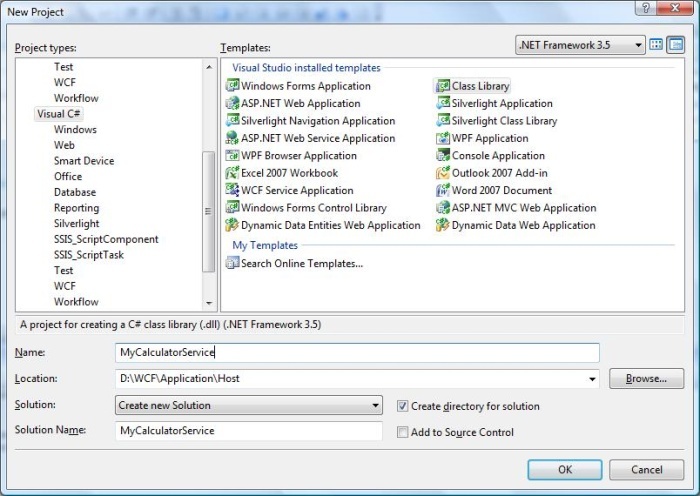 Step 10 : End point (same as service) information should be added to the configuration file of the client application. Step 11: Before running the client application, you need to run the service. Output of the client application is shown below. This self host shows advantage such as in-Pro hosting, programmatic access and it can be used when there need singleton service. I hope you have enjoyed the Self hosting session, now let go for hosting using Windows Activation service.